How to totally revolutionise your Reception Management and Patient Journey and receive $15 per day * as a bonus. While we now have over 150 practices and over 1000 GPs using AutoMed Systems, we are often initially told that our AutoMed total reception solution seems expensive in these days of financial stress in General Practice with rebate freezes and increasing staff costs. Well, what if I told you that if you saw ONE extra patient each day you would cover the cost of our TOTAL solution and end up with a minimum *$15 extra per day? AutoMed Systems has created a totally integrated Reception Solution that sends an MMS (not SMS) reminder to each patient informing them of their appointment time, allowing them to confirm, cancel or reschedule their appointment in real time. It also allows for targeted and appropriate marketing of other practice services and encourages the patient to use other AutoMed solutions e.g. online bookings, auto arrival kiosk, payments etc, all leading to improved efficiency and decreased practice costs. 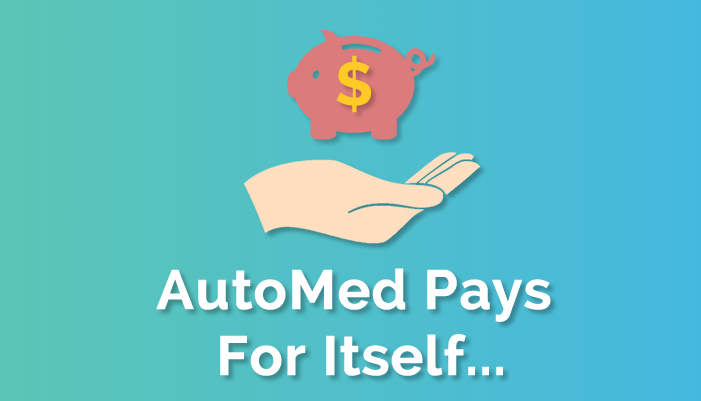 If just ONE patient per day was converted from a DNA (non-arrival) to either attending the practice or cancelling the appointment allowing another patient to attend that appointment time, with an average income of $60 per patient, then that ONE appointment pays for our full suite of AutoMed solutions, PLUS $15 extra in the practice pocket*. That ONE extra patient covers the cost of online appointments, mobile app, caller ID, dedicated fixed-cost MMS Sim card, appointment confirmation and reminders, SMS recalls and reminders, concierge with paperless patient registration, MMS and email marketing and a fully featured kiosk with private billing and Medicare rebates and still end up $15 per day ahead! Can you afford NOT to look at our website? The simple answer is NO! *based on the cost for a 3-5 FTE practice.